MJB Hoteliers project management experience ensures that each stage receives the necessary oversight and supervision to focus the Designers, Consultants and Contractors on achieving the Owner’s vision. Tamansari Gangga is located near one of the most popular cultural destinations in Bali: Tanah Lot Temple. With a mix of villas and condotel units, guests will encounter a stunning beachfront setting but also the natural beauty of rice paddies and stunning hills. The private villas will have a pool, private garden and a lovely lounge area. The resort will also have a Signature Restaurant, a beautiful spa with an oversized pool and fitness centre, a family zone area with activities and a beautiful beach club with a pool to enjoy a magical sunset. 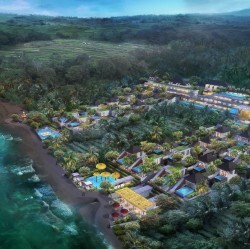 Mantra Jimbaran Hijau Resort will be a five star 120-key condotel and will operate alongside the 120 unit Springhill Residences Jimbaran Hijau, by Mantra. Guest facilities will include a large swimming pool, restaurant, wellness centre, and children’s playground. 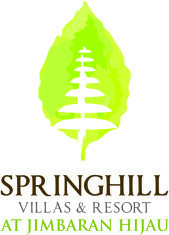 Springhill is ideally and conveniently nestled in the lush and pristine Bali International Park in Jimbrana area, a 15-minute drive away from Ngurah Rai International Airport and the popular Kuta district, making it the preferred, most strategic, and desirable location on the Island of the Gods. 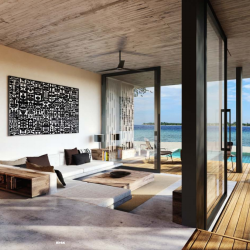 BASK at Gilimeno is a tropical refuge at the forefront of global trends in art, cluture, dining and mixologgy. BASK promises the best of modern luxury in a setting of timeless beauty. Featurring waterfront on two sides, BASK’s 87 villas are each sleek and airy. Opening onto sunset-showcasing beachfront and exotic salt lake embarkments, each one provides a tranquil personal retreat with the carefree of the elite.